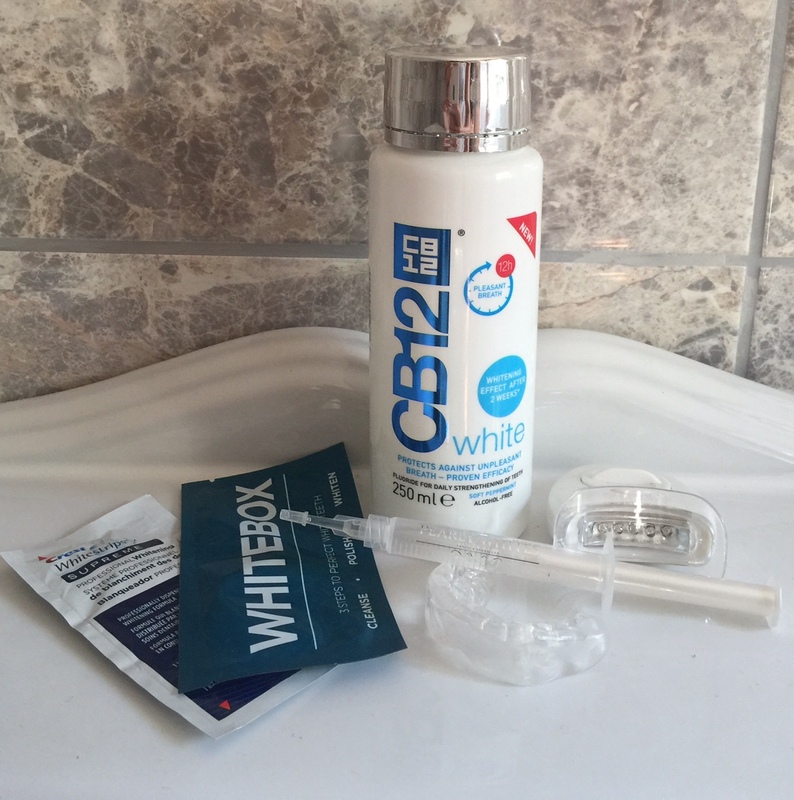 My FAVOURITE products for teeth whitening! I’m always quick to try new teeth whitening products – I love comparing them to my favourites and trying new formulations ad ways of whitening teeth. What teeth whitening products I use is a question I get asked time and time again! So as I continue on my teeth whitening journey I wanted to share with you my absolute FAVOURITES of all time, sort of like my hall of fame for white teeth! So my NUMBER ONE product of all time has to be Crest 3D professional effects or supreme whitening strips, these are the top of the chain of teeth whitening products and whiten our teeth UNBELIEVABLY well! – They do have a few draw backs, A) they can slide off your teeth so its best to lie down with these on ( although I didn’t hear a story in the Daily Mail about someone who let the liquid sit in his mouth and it burned a hole in his mouth – How true or weather this was a genuine product I do not know). B) They are ridiculously hard to get hold of in the UK ( USA readers, your lucky!) – as they are too strong for UK regulations ( so use these at your own risk) they are getting harder and harder to track down, especially with a market filled with cheap Chinese copies….AND LASTLY C) They have the potential to make your teeth so sensitive you could cry every time you breathe air!…. But mine have never been anything a bit of Sensodyne didn’t sort out. …All that aside prepare your self for the whitest at home teeth ever! 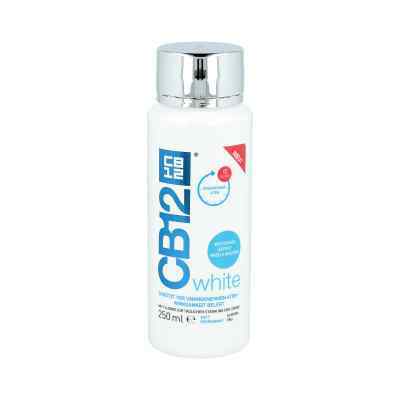 My number two very closely behind Crest strips is Whitebox, now for UK readers this could be a good alternative for you. These come with these little buffers ( that work like magic don’t ask me how) and strips again. These work I would say 99.6% effectiveness of crest strips without any of the drawbacks. They didn’t cause me any sensitivity, they are so easy to get ( UK customers you can get these in Boots) and they don’t slide off as easily, but still I use them lying down. 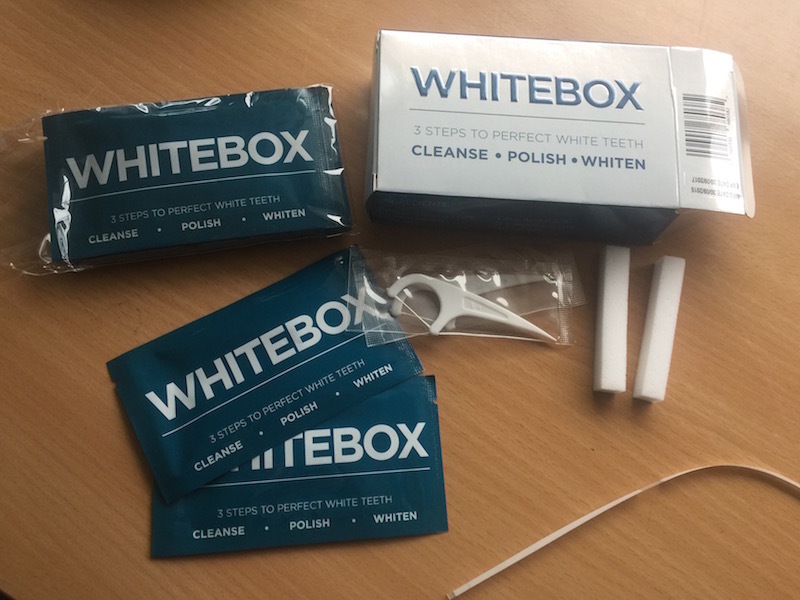 Whitebox teeth whitening strips – Whats in the box! My number three product is Arm & Hammer advance white extreme whitening baking soda toothpaste, pretty self explanatory but if your going to be brushing your teeth 2/3 times a day, may as well be with a great whitening product. This is reasonably inexpensive and the same price a normal toothpaste! Previous Article← Kim kardashian west wrapped pony tail braid tutorial!